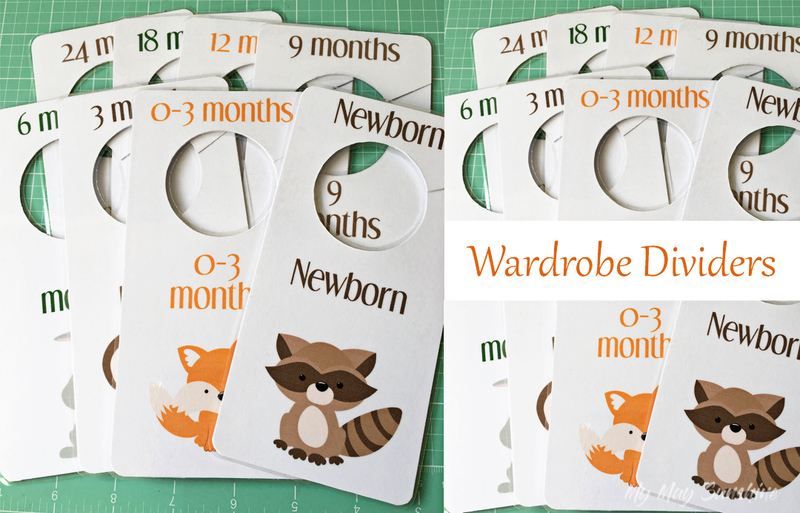 I needed to get a gift recently for a baby shower and decided that I would make some of these baby wardrobe dividers. Instead of designing the wardrobe dividers myself, I decided to purchase some printables from Etsy from a shop called JennaCaseyDesigns. I decided to make the dividers matching on each side, so I printed each divider twice so I could glue them together before laminating. 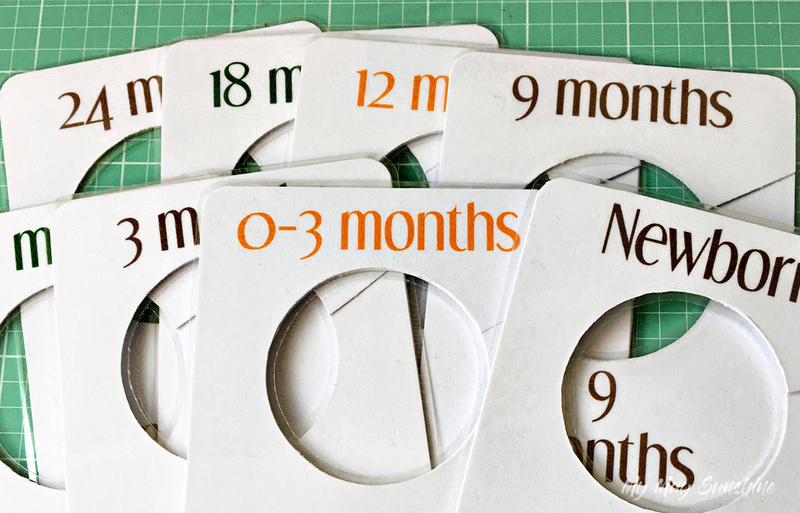 Once I had printed the dividers, I cut them out and laminated them to make them stronger. The dividers needed a hole in them so they could hang on the wardrobe rail. These were a bit tricky to cut out as the perfectionist in me wanted them perfect! I also cut a slot to allow you to hang the dividers on the rail. One thing I did realise was that I cut the laminate to short on the sides of the dividers, so they started to come apart, so I had to glue them to keep them together. 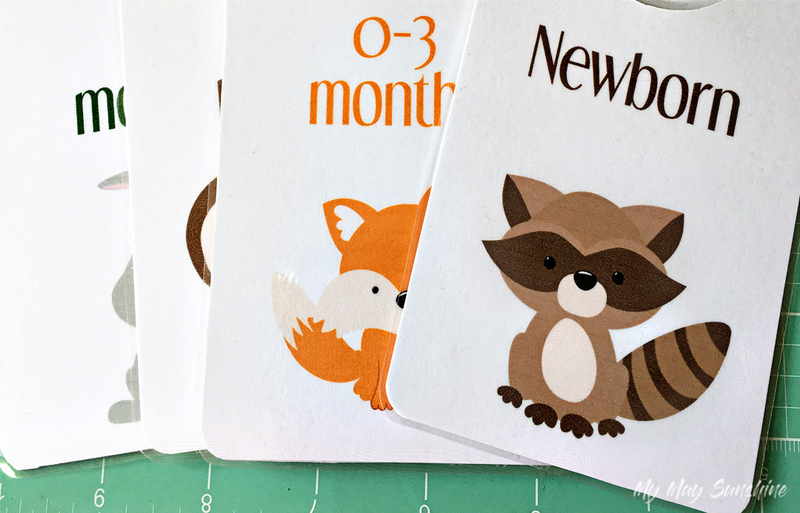 The dividers were so cute as they had lovely woodland animals on them and were a set of 8 dividers which were labelled Newborn, 0-3 months, 3 months, 6 months, 9 months, 12 months, 18 months and 24 months. They were a cute little set to give as a gift. Previous Post The 52 Project 2017 – 48/52.